It’s almost impossible to deny the power and rising influence of the stories format. Originated on Snapchat, Instagram has taken the Stories option and evolved it, providing new tools and options, and introducing them to the app’s 800 million+ users. And while there’s been some conjecture about Facebook’s tactics in so blatantly copying their competitor, the results are impossible to ignore – 300 million people now use Instagram Stories every day (recently updated, not reflected in the graphic). And as Stories – and Instagram more broadly – continues to rise in usage, so too do the opportunities for brands. It’s becoming more competitive of course – with more than 2 million businesses now active on the platform – but those that can utilize the power of Stories effectively can greatly enhance their potential on the social app. That’s where this infographic from Headway Capital comes in. 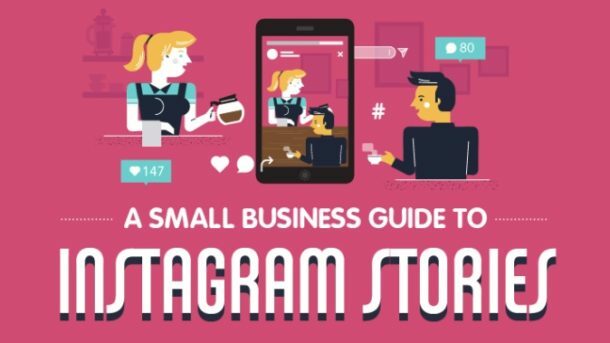 The graphic outlines some key usage stats for Instagram Stories, along with notes and tips on how small businesses can make best use of the option. Worth considering in your Instagram process.